Multiple wildfires that together grew Monday to nearly the size of Los Angeles could become the worst in fire-prone California's history, authorities warned. The River and Ranch fires, which together are called the Mendocino Complex, blackened an area of 273,660 acres (110,750 hectares). 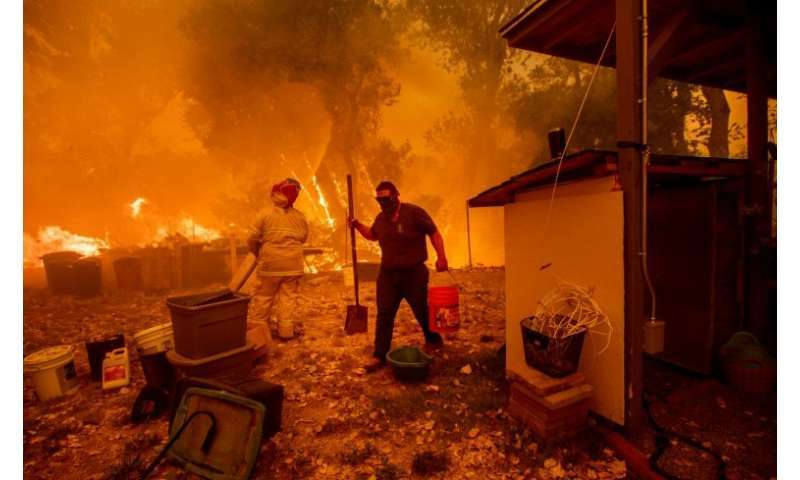 Authorities from state fire agency CalFire reported before midday that it already had mushroomed into the second worst blaze in state history in terms of area burned. "I expect to see it to be number one, unfortunately, this evening," CalFire spokesman Scott McLean said on Facebook. The largest ever until Monday had been the Thomas Fire in December 2017. It was 440 square miles (1,140 square kilometers)—almost the size of Los Angeles. 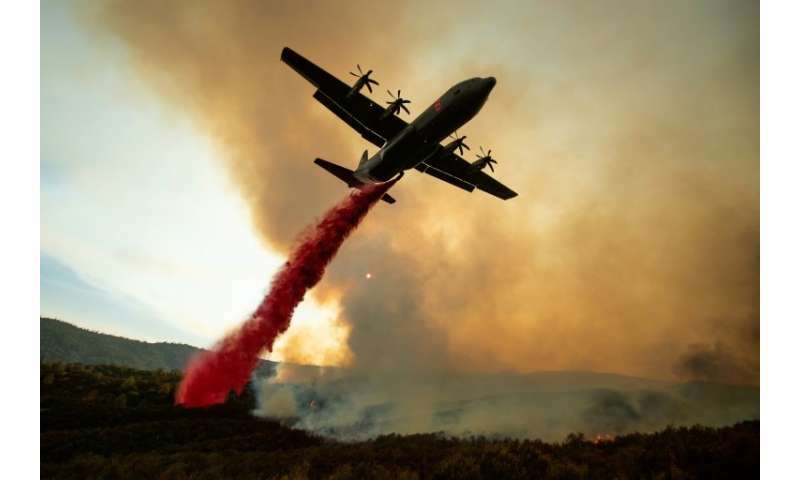 Further north in the state, the Carr Fire has scorched 154,524 acres of land since July 23, when authorities say it was triggered by the "mechanical failure of a vehicle" that caused sparks to fly in tinderbox-dry conditions. More than 14,000 firefighters were battling the blazes across the state, which has lost another 918 square miles already this year. President Donald Trump raised eyebrows by tweeting about the wildfires inaccurately, claiming there was not enough water to fight them.